Kathu Festival, or the ‘Kathu Street Culture Festival’ as it is known in full, is a rather new event compared to other well-known festivals on the island but it’s getting popular and draws a bigger and bigger crowd each year of its existence. 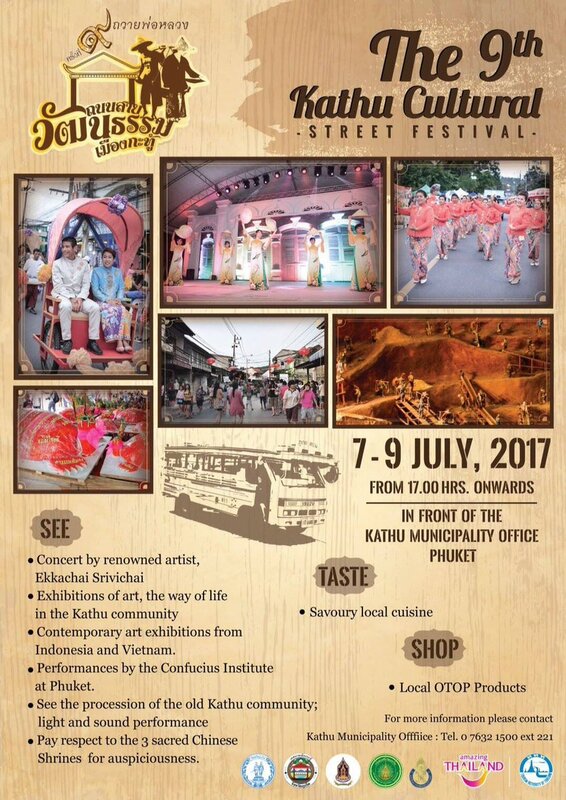 Spectators will enjoy checking out the street stalls, stage shows, live music, exhibitions and Thai traditional children’s games. This all takes place because the folks at Kathu want to celebrate and promote their traditions and customs as well as pass them on to the next generations.